At CPT we are committed to ensuring the best possible experience for all artists, audience members and other visitors to our space. We welcome customers and artists with disabilities and are pleased to assist you in your visit. Please see below for all access information at our venue. Dirty Words by Cheap Date – Thursday 7th March, 7.15pm. This performance includes integrated subtitles and BSL. Made in India Britain by Rinkoo Barpaga – Tuesday 19th March, 7.15pm. This performance has integrated BSL. 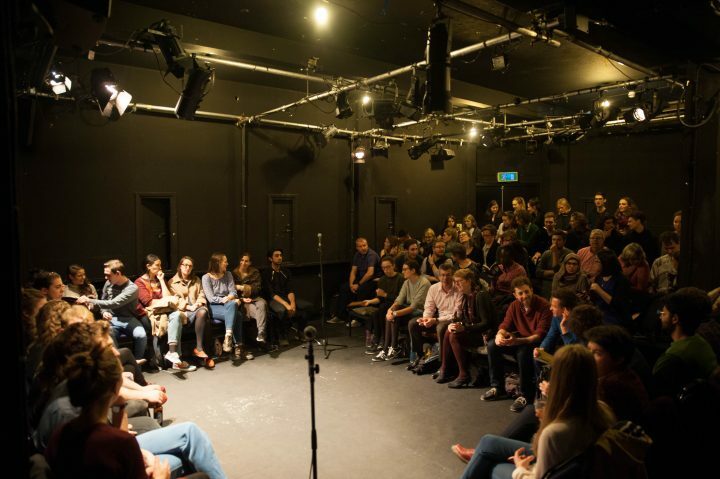 Elephant in the Room by Lanre Malaolu – Thursday 11th April, 7.15pm. This performance is BSL interpreted. Grey by Koko Brown – Thursday 11th April, 9pm. This performance has integrated BSL. Human Jam – Tuesday 14th May, 7.15pm. This performance is BSL interpreted. If you have any questions or enquiries that are not covered here please do get in touch by calling 0207 419 4841 or email James, our General Manager on [email protected]. We will try to respond to your queries within five working days, but please understand that at busier times replies may be delayed. For full information on how to find us, please visit our dedicated find us page by clicking here. 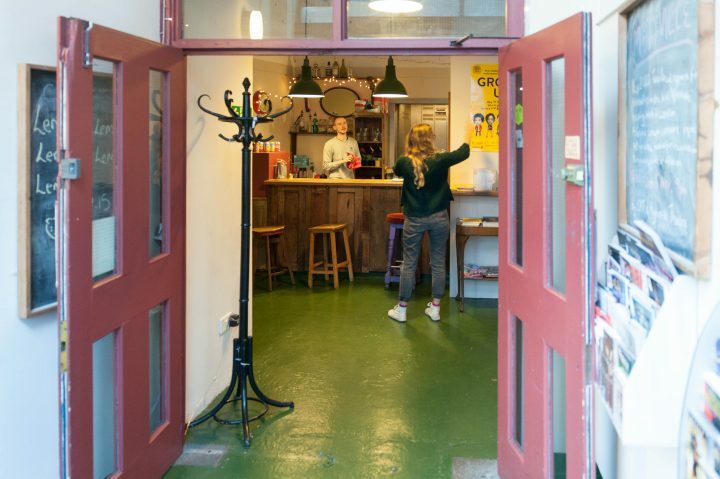 Camden People’s Theatre is step-free from the street, as well as both ground floor fire exits. Our theatre, dressing room, and bar/café space are located on the ground floor and are all fully wheelchair accessible. There is a slight slope leading into the theatre space from the bar. We have gender inclusive and disabled toilet facilities located in our foyer. These are approximately 10m from our theatre space. Our basement space can be accessed either via lift or stairs. Unfortunately our basement space is currently not wheelchair accessible, as we do not have available access and evacuation points to guarantee your safety. The box office and bar are located straight ahead as you enter the venue with the theatre space to your left and seating area and toilets to your right. During daytime office hours there will always be at least one member of administrative staff present at the theatre to greet you. From 6pm there will be two members of box office staff available. Throughout the day (10am-6pm), you will need to ring the door bell on the right hand side of the double doors to be let in. For shows, the front door will open from approximately 6.30pm, with the doors to the theatre opening usually around 5-10 minutes before the start of each show. If you have booked for a 9pm show, we recommend arriving around 8.30pm to allow time to collect your tickets. If you are a wheelchair user or require seating assistance we will make an effort to seat you first. Please notify us in advance if you need assistance by calling the box office on 020 7419 4841, or email us at [email protected] stating which show you’re coming to, an any specific requirements. In the theatre the majority of our seating is on raked raised platforms, however we also have two rows at the front on ground level. Please let us know when you book if you are a wheelchair user so we can remove one of the front benches to make more space. This advance notice is helpful for us as removing the benches has a consequential impact on seating capacity in the theatre. If you would prefer to not sit in your wheelchair for the performance let us know on your arrival and we will arrange this for you. When collecting tickets all we require is the name the tickets are booked under. If you are collecting a student or senior ticket we ask that you bring a valid ID with you. A note for artists: Our lighting and sound desks are located at the back of the theatre space with a large step up. Unfortunately, currently this isn’t accessible to wheelchair users. If you require a carer ticket and would like to book tickets out of office hours, please book two paid tickets via our website and then call us on 02074 194 841 where we will be able to refund one of your tickets. There are a variety of car parks in the nearby area. For the best parking options suitable for your needs, we recommend Camden Council’s website, Parkopedia or JustPark. There are also a number of free street parking spaces on Drummond Street after 6.30pm. Between 8:30am and 6:30pm there is a standard charge of £2.70 for a maximum of 2 hours. Camden People’s Theatre patrons can get a 10% parking discount to park nearby by redeeming the CPTHEA10 discount code on YourParkingSpace. There are bus stops just outside of the theatre, approx. 100m down the road towards Warren Street station. 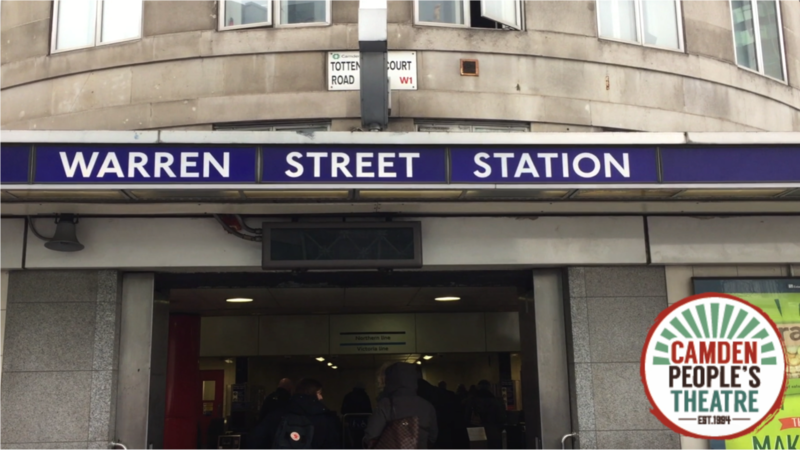 Warren Street (Northern, Victoria), Euston Square (Circle, H & City, Metropolitan) and Euston Station (Northern, Victoria, Overground) are our nearest underground stations. 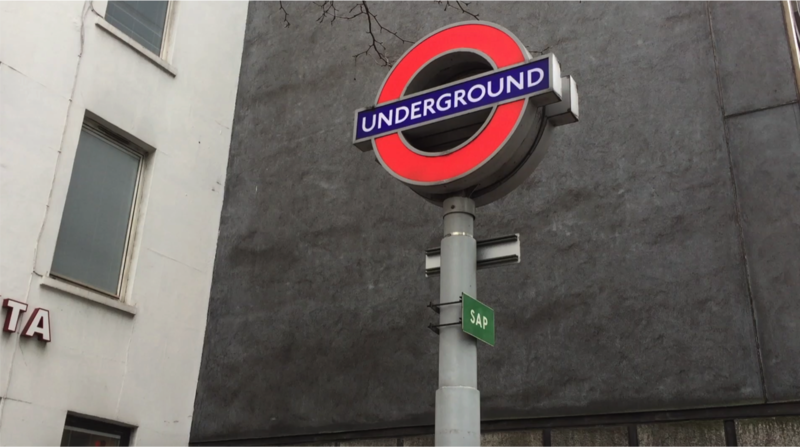 Euston Square is step free between the street and platform levels. Plan your journey here. 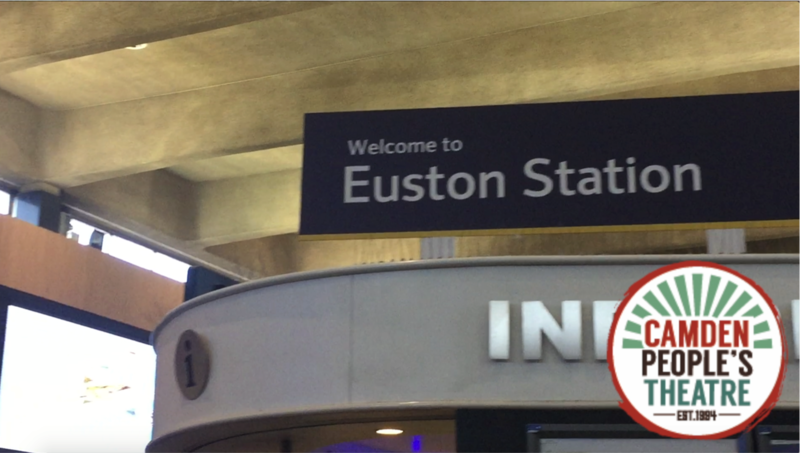 At the bottom of this page you can watch guided walks from each local station train and underground station. We will make a note on the individual event pages on our website if shows are considered to be relaxed performances. If however you have any queries about the content of a show please get in touch when booking. If you require a personal assistant or carer with you, we will be happy to offer them a complimentary ticket. To arrange this please contact the box office directly on 0207 419 4841. Your tickets will be available for you to pick up from the box office on the night of your visit in the usual way. We welcome any customers to the venue who require medicines, food or drink or specific medical equipment to manage a medical condition. If at any time during your visit you have any concerns please let a member of staff know. At least one member of Box Office staff working each night will have completed basic health and safety training. We have a basic first aid kit onsite, and CPT is 5 minutes away from University College Hospital and a 7 minute walk away from A&E. Both of these are located roughly opposite Warren Street station. We welcome assistance and guide dogs in CPT and are happy for them to accompany you in any of our spaces at the venue and can join you in the theatre for events. Alternatively, we can arrange someone to look after them throughout the performance in the bar area if you wish, just let us know on your arrival. Water will also be available on request. We regret that we currently do not have a hearing loop fitted in our theatre. If a show is using strobe lighting or excessive haze, all audience members will be notified upon their arrival to the venue. When it is known in advance of a show’s arrival to the venue we will advertise this on the show’s event page on our website. If a show is using a loud sound system, where possible, free earplugs will be available from the box office. If an artist or company is supplying a programme for their performance, copies printed in a large, easy to read font are available upon request. Please notify us 48hrs in advance if you require an accessible programme. We welcome any feedback on your visit to CPT, allowing us to continuously improve the experience of all visitors. Get in touch if you’d like to chat with us.